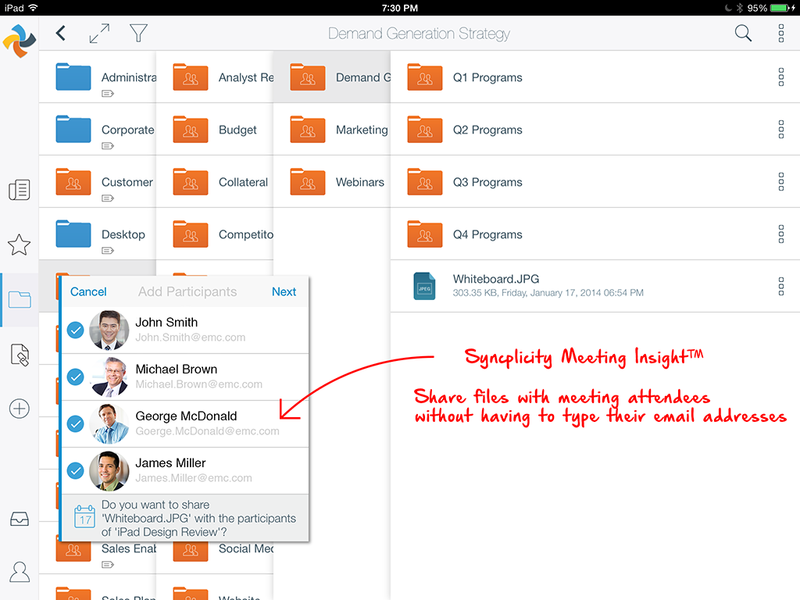 Syncplicity Insights™ increase user productivity by automating mundane tasks. Shared Link Insights is triggered when a recipient has not downloaded the file that has been shared with them for more than one day. With just one tap you can send a reminder email through Syncplicity.